Welcome to the first Penguin of The Week of March 2018. 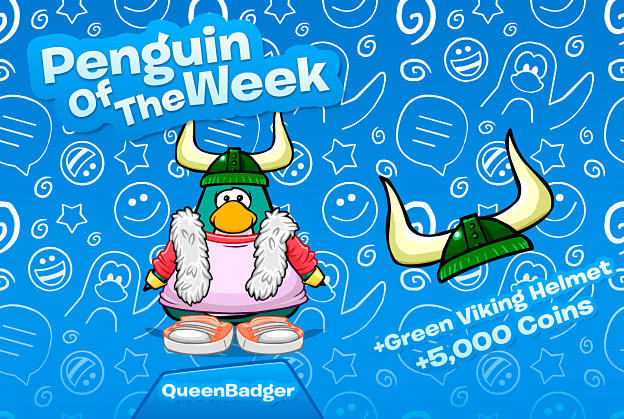 This week the winner is the user QueenBadger, congratulations! Some of you may know her as the owner of the Club Penguin Online dedicated blog 'The Iceberg Times' where she posts constant updates on Club Penguin Online. Not only that, but she's extremely active on our game is a very kind and welcoming user, congratulations Queen! Make sure to check our blog every Saturday to see the next winner of Penguin of The Week. If you wish to get this reward it'll be useful if you joined our Discord server.